Lancashire and Durham both got the better of their respective opposition in the opening week of the NatWest T20 Blast on the Duckworth-Lewis method. The Jets sit at the top of the fledgling North Group table and travel to Old Trafford looking to inflict only the second defeat in Lancashire’s last 12 home games in the competition. 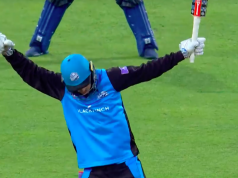 Rain played its part in the opening fixtures, as Steven Croft’s unbeaten 70 guided the Lightning past Leicestershire, while Northamptonshire, Durham’s opponents, fell short on the D/L method at Chester-le-Street. The Jets have only reached Finals Day once since the inception of the competition and haven’t made it to the T20 showpiece occasion since 2008. Lancashire meanwhile are bidding to reach their fourth, but are yet to go all the way and claim the title. It was the Lightning who triumphed in both encounters last season and are unbeaten in their last seven meetings between the two sides. The pair are looking to back up some impressive early season form in the County Championship. Durham enter the game off the back of a defeat to Warwickshire at Edgbaston but sit second in Division One. Lancashire are top of the Division Two table and will have a spring in their step after a remarkable win against Leicestershire – where they bowled their opposition out for just 78 in the second innings, thanks largely to figures of 5-12 from Tom Bailey. On paper, the two teams lack a star name – a worldwide star. However, both lineups are stacked full of experience. Lancashire captain Steven Croft has played in their last 103 T20 games while, for Durham, Phil Mustard has 153 T20 outings to his name and England’s World T20-winning captain Paul Collingwood bolsters the middle order. George Edwards is a man not many people had heard of this time last week. 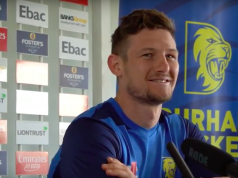 The seamer’s display against Leicestershire last Friday, where he took 4-20 on his Lancashire debut, has catapulted him to the forefront of the Lightning attack. He was quick, skiddy and accurate, bouncing back from a difficult first over to be trusted to bowl the death over, where he took two wickets. Durham will be wary of underestimating the young paceman. At a time when England are desperately seeking a front-line spinner in all formats, Durham’s Scott Borthwick has dropped down the pecking order. Since being selected in the Sydney Ashes Test of 2014, Borthwick hasn’t been seen in an England shirt and at the age of 25 needs to be pressing his claims more than he currently is. His batting has taken over from his bowling to the extent where he can perhaps no longer be considered an all-rounder. A County Championship batting average of 50.87 this season is impressive but he has only bowled 27 overs. Strong showings in T20 could put him back in the minds of the England selectors and he will hope to impress here. Lancashire are unlikely to make too many changes to their winning side, if any, with Kyle Jarvis again being rested to lead Lancashire’s County Championship attack. Young Liam Livingstone is expected to open once again with Ashwell Prince. The arrival of overseas signing James Faulkner has been delayed by the Rajasthan Royals’ progression to the knockout stage of the IPL, but their elimination from the competition on Wednesday gives the Australian an outside chance of making this match. He hasn’t been named in the squad, but Lancashire haven’t ruled out his late inclusion. Similarly, it is unlikely that Durham will change too much from their win over Northants. Fast bowler Mark Wood and all-rounder Ben Stokes are away on England duty meaning that the bowling attack is expected to remain unchanged. The tried and trusted opening partnership of Mark Stoneman and Phil Mustard will be picked again, while Calum MacLeod will look to build on his 32-ball 60 from last Friday. Old Trafford was struck by the rain last Friday and there’s a chance of the same happening this week. It is forecast to clear up just in time for the start. The pitch will be hard and fast and generally good for batting.